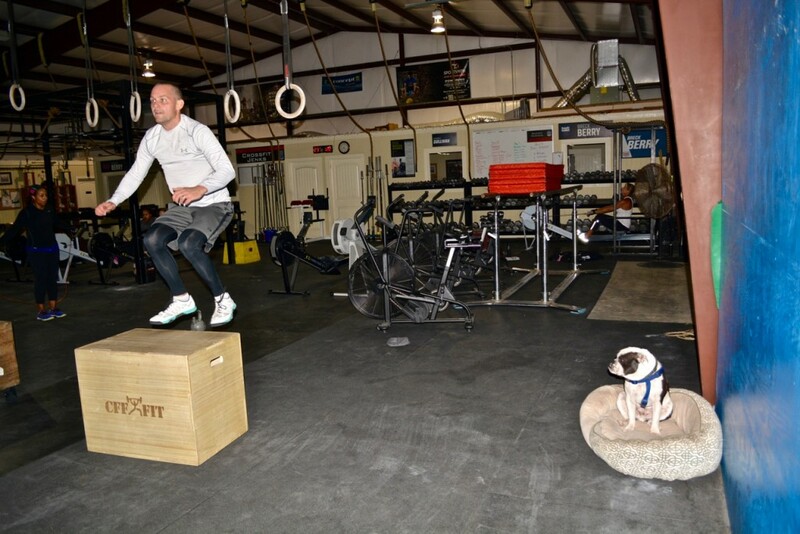 Crossfit for dogs? Yes please! 1st Bar Muscle-up!! Granted it was with the black band but I’m taken it! Thanks Breck for the perfect progression help! Congrats on the Bar MU Ali! I was going to say, if anyone who competed at KO in OK this weekend even thinks of attempting this WOD, they have a problem, but I see Kevin has already done it. No wonder you keep hitting this PR’s. Always put your dumbbells back in their proper place. Unbroken until I got to the 9 Bar MU’s (was at 5 minute mark going into MU’s). Wod rx’d except last set of 9 mu. Instead attempted 2 banded bar mu with green band, couldn’t get them. So did 9 burpee pull ups. Great lifting with you Nicole! Thank YOU, Dana! You had a lot more in the tank! That competition this weekend was great, but I’ve got goals and weaknesses to work on, so I came to work today! Oh and did a 1 mile jog post Wod.